Hey Trendy Twiners! Hope all of you are doing well. This is Melissa sharing with you today. This month, the Trendy Gals have had so much fun showcasing some great packaging along with the Tickled Pink Trendy Twine. We hope you have enjoyed them! 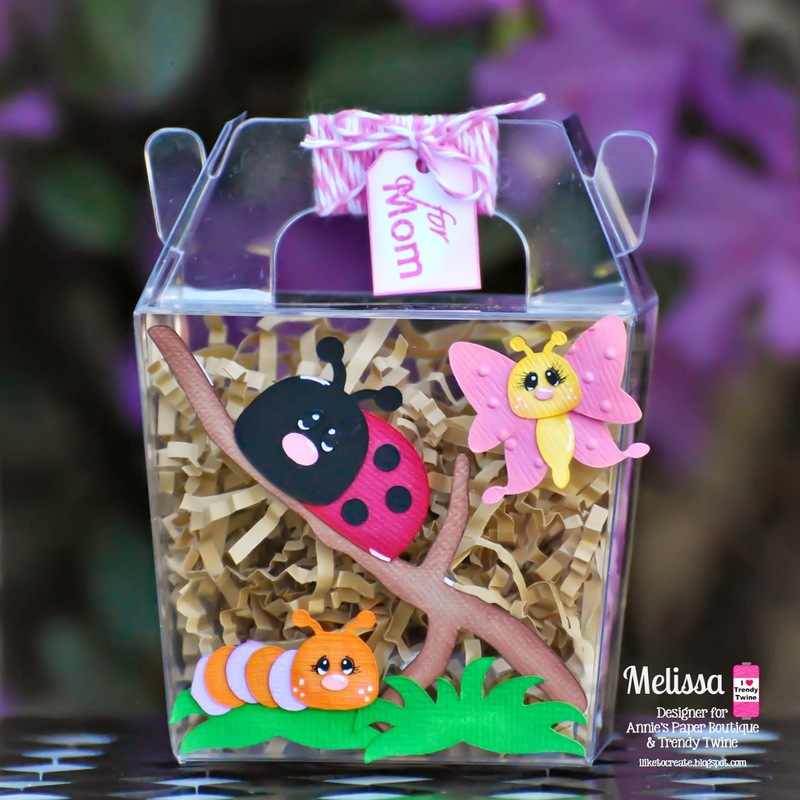 Today, I am sharing a project For Mom using a Clear Take Out Box and the Tickled Pink Trendy Twine. All month long, I have only been able to think of Spring as I long for warm days and lots of sun. As April is coming to an end, I am finally started to see a bit of it here in Ohio. I think these boxes are perfect for creating scenes on the outside of. And don't you think that Mom would love to find a new pair of earrings wrapped up inside of all the crinkle paper on the inside. If you want more info on my project, please stop by my blog, M Miranda Creations. 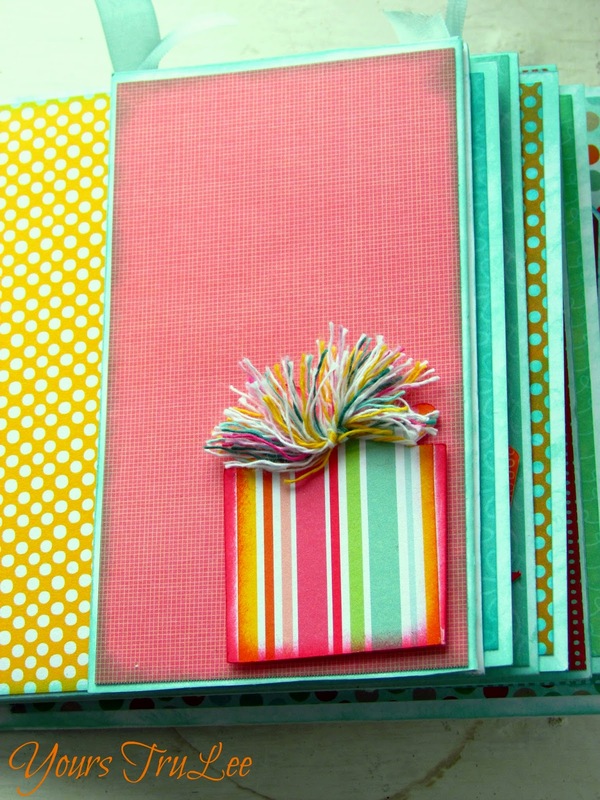 To see all the wonderful package available and all the fun colors of twine in the store, stop by Annie's Paper Boutique. 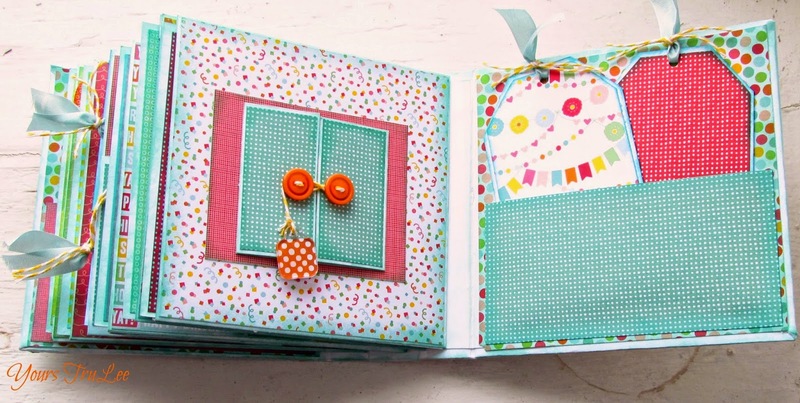 And please share you projects with us on the Twine it Up Facebook Group. Have a fabulous Thursday as we bring April to a close. 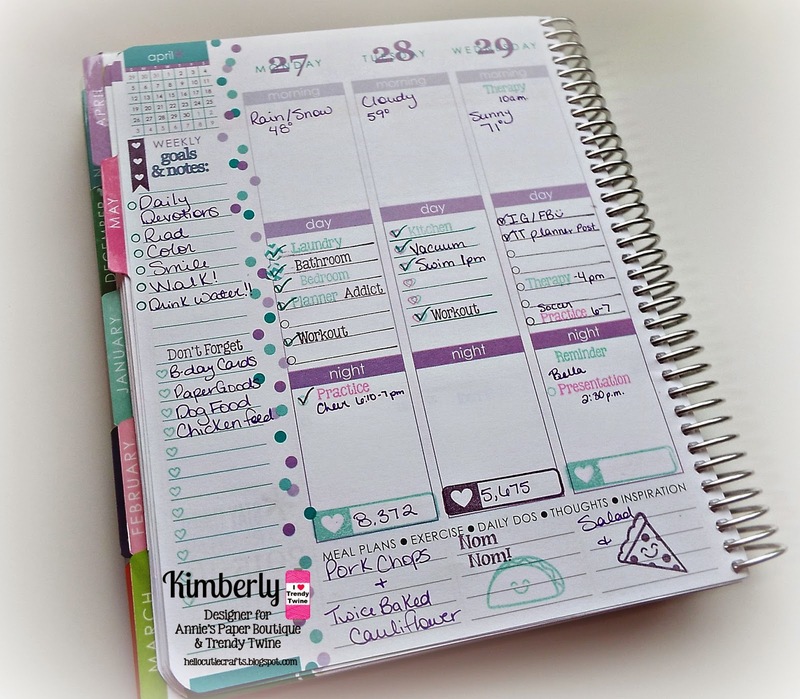 I am using my Erin Condren Life Planner for this week. I enjoy the pretty colors the April 2015 layouts have. I use the heart stamp to track my steps daily from my Fit Bit. 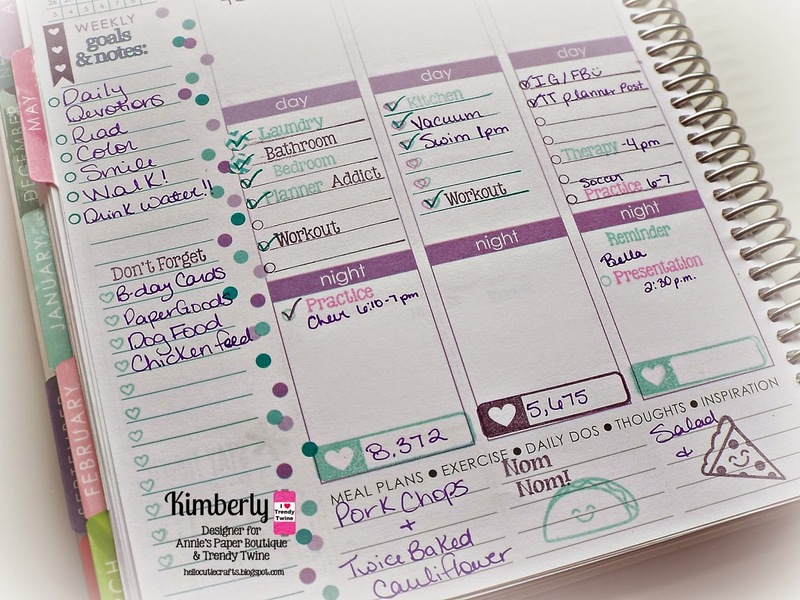 Check It Off, School Days, At Home, and Foodies. 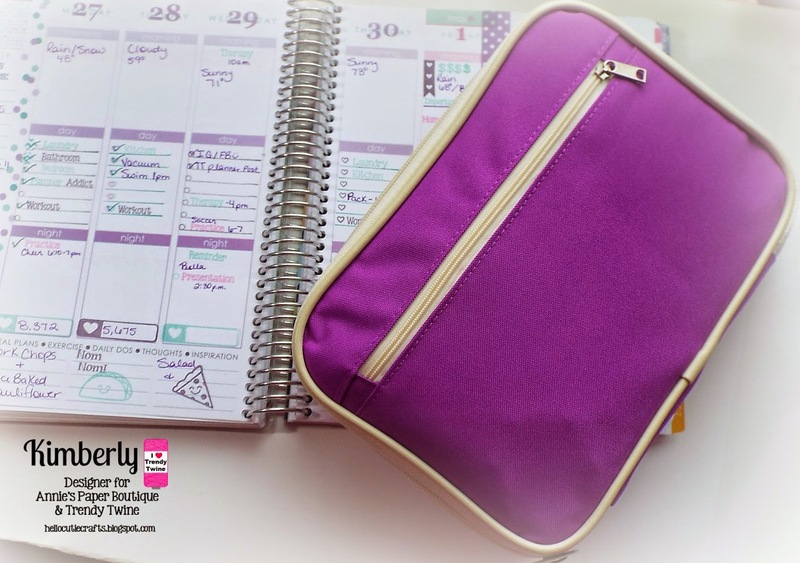 I also have a fun *new* Planner On-The- Go case to share. These come in Red, Purple, Olive and Blue. These cases are pretty amazing, they hold so many items!! all my Annie's Paper Boutique planner stamps!! So amazing! 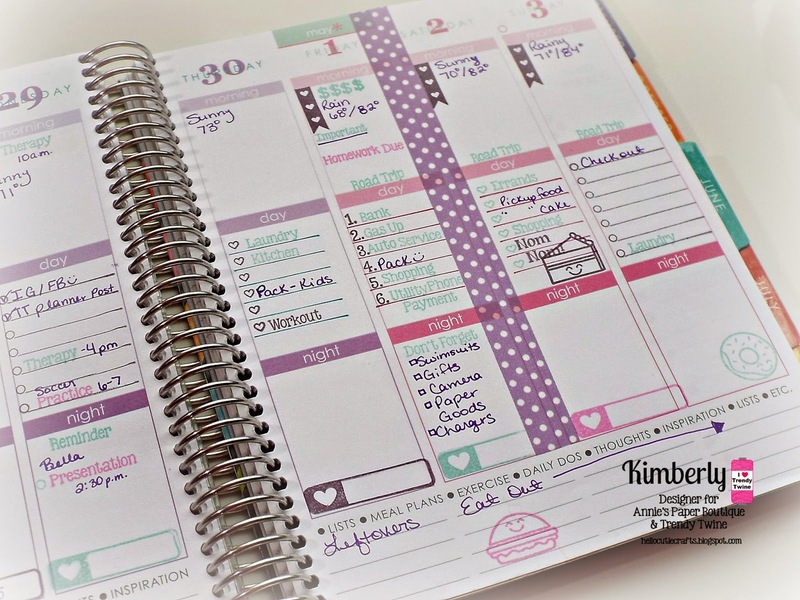 Every planner lover needs one! 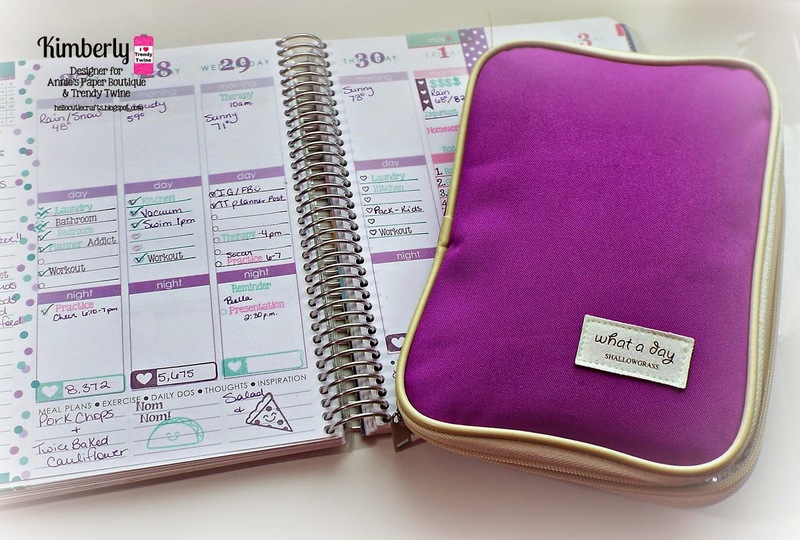 For all the details of my planner post, please visit my blog. 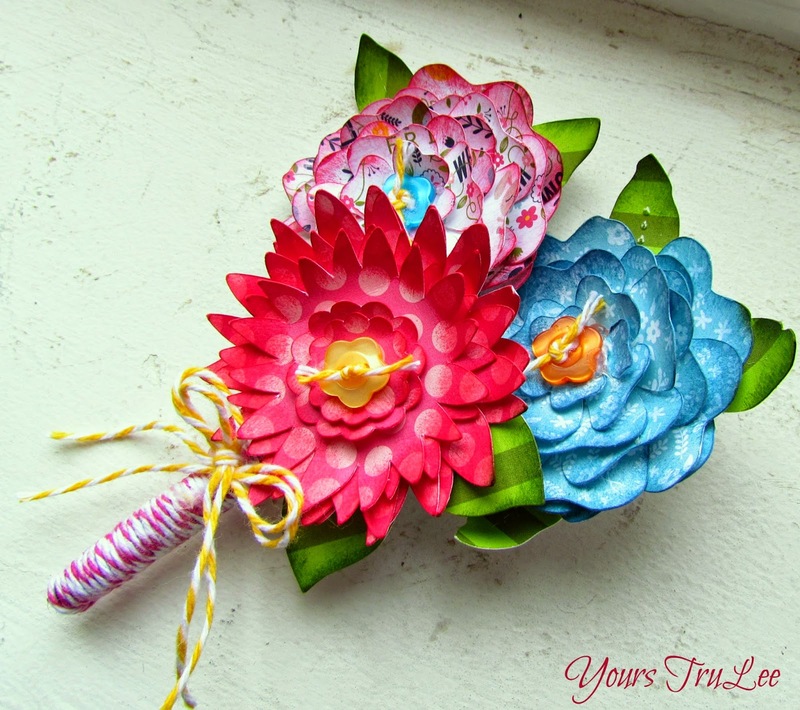 Today I have another Mother's Day project to share! I found this beautiful designer paper from Lilybeedesign that I used to wrap my mini cup in. 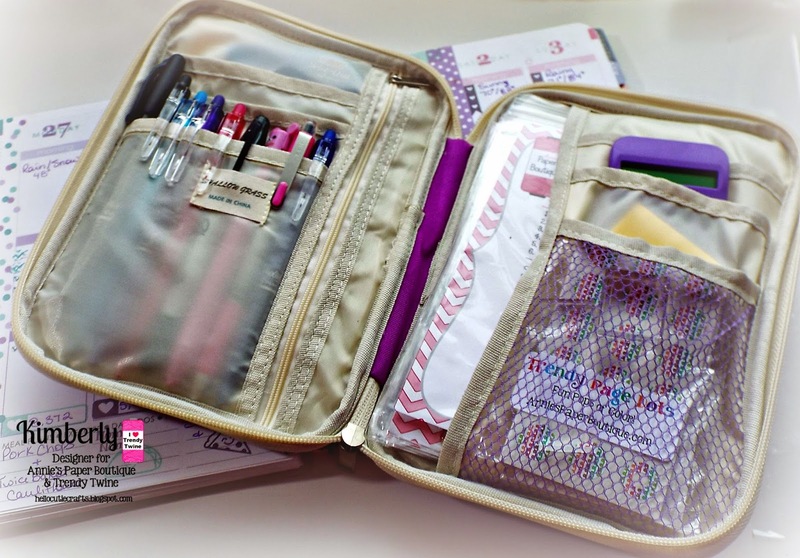 The colors look so pretty with the Tickled Pink Trendy Twine! Then using some kraft cardstock I made a cup sleeve for my mini cup that doubles as a place to adhere my sentiment. 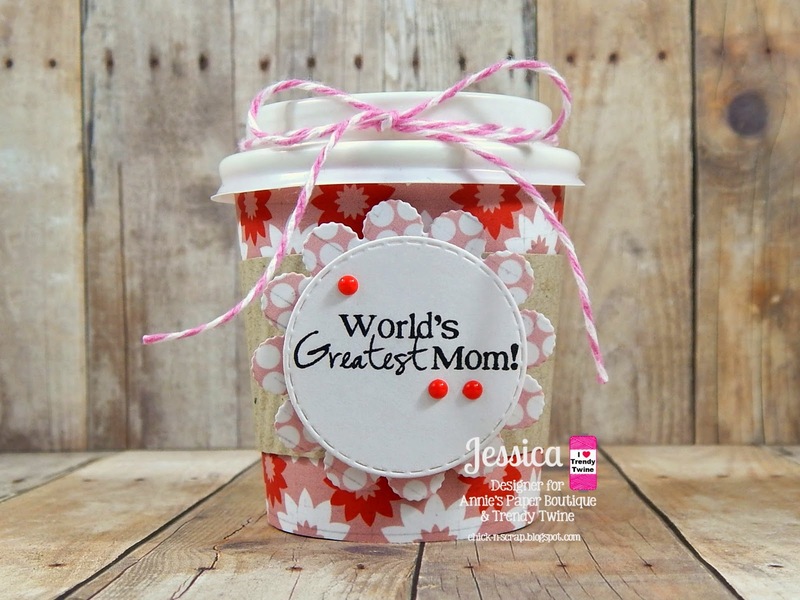 Finally I wrapped some Tickled Pink Trendy Twine around the cup's lid and tied it in a simple bow. Filled with some chocolates or even a K-cup and this would make a GREAT gift!!!! Happy Mother's Day with love! 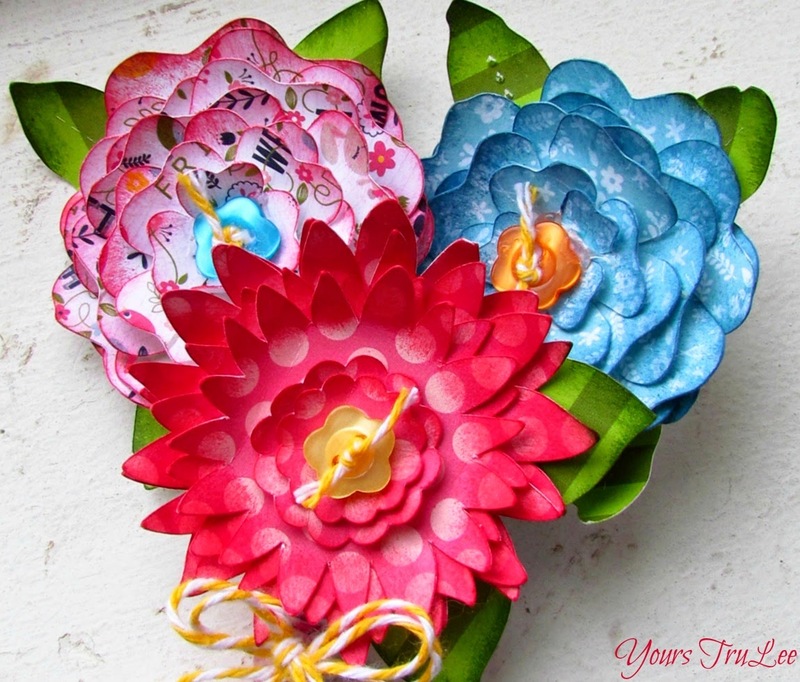 This is Shelly from My Paper Love sharing a gift set I made for my Mom. This month the DT is showcasing a gorgeous color - Tickled Pink Trendy Twine. 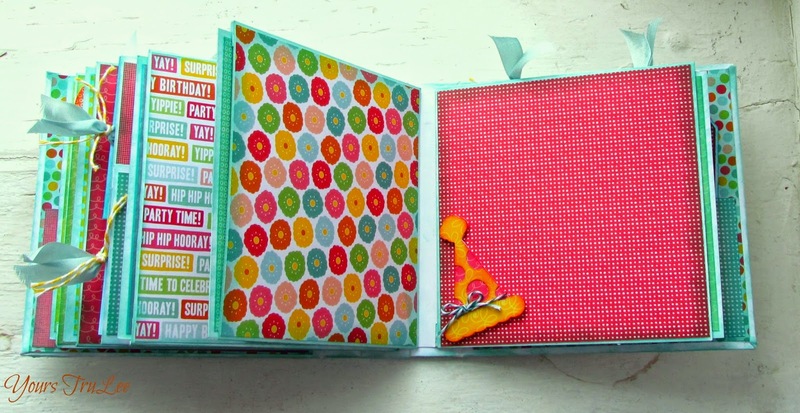 I've made a few projects with Tickled pink and you can see all of them over at my blog. 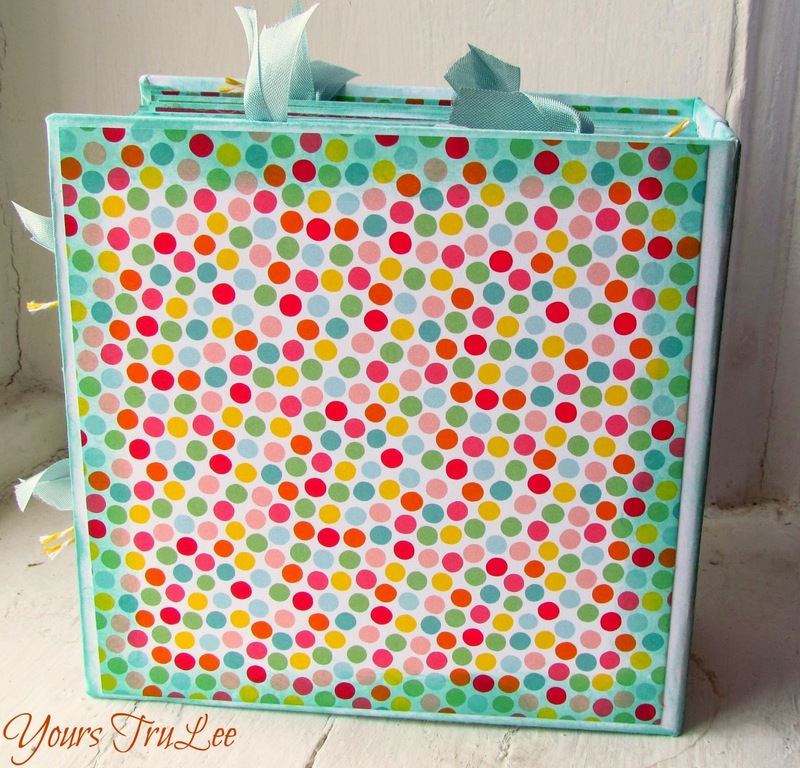 Today I'm sharing a very simple card and gift box. For the card, I started with some heavy white card stock and created a background with paint splatters and inked lines. I found some feathers and tied them with Tickled Pink Trendy Twine and stamped a Mother's Day sentiment. This year I wrapped up some pretty earrings that fit perfectly in this box and again tied it with Tickled Pink Trendy Twine. I added a tiny little tag and stamped it with love! Stop by the boutique and have a look at these fun goodies! 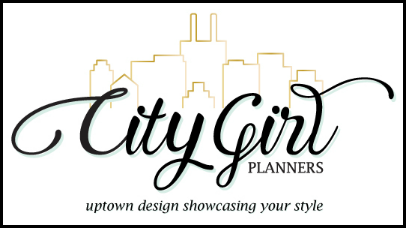 Happy Sunday!It's Ann Marie from Yours TruLee and I'm so thankful that Lesley allowed me to be a guest designer on her blog the last three days! I really enjoy using her twine and I'm glad I was able to share some of my projects! I enjoyed using the Lemon Tart Twine as well as some Strawberry Cupcake Twine. I love how the colors of twine compliment the flowers and help bring in more color! I have really enjoyed the last three days and again, thank you Lesley Ann for letting me share some of my creations on your blog! It was an honor! Until we meet again....have a wonderful crafty day! Hello again fellow Trendy Twiners! Its Ann Marie from Yours TruLee and I can't say enough how thankful I am that Lesley Ann asked me to be a guest designer this weekend! I love me some Trendy Twine! I am so in the mood for Summer and I have found my recent projects have been with summer in mind! 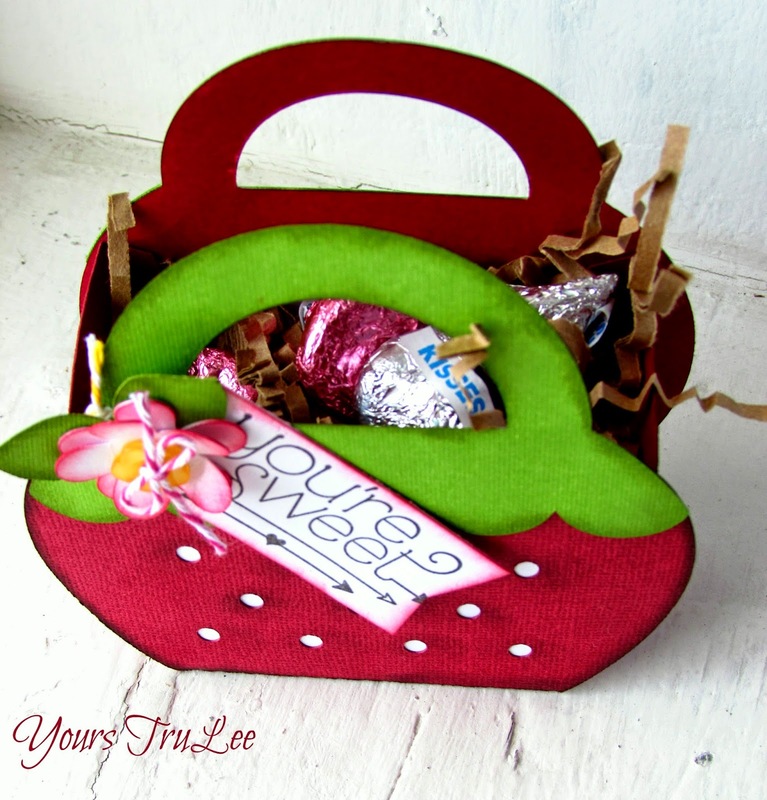 I created this sweet strawberry favor box for a friend and I plan to fill it with some cheerful candies and a note. 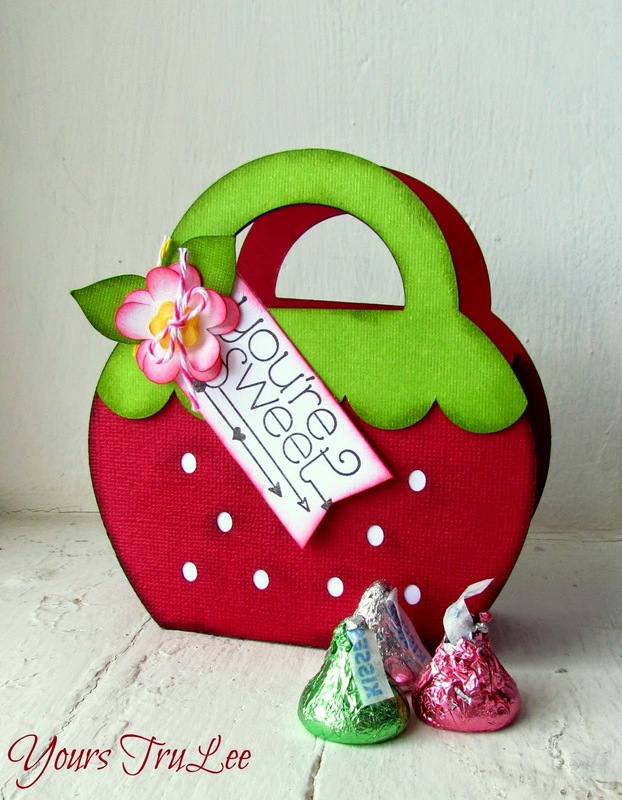 I used this months featured twine, Tickled Pink, to embellish the strawberry blossom. I think it adds a soft and delicate touch! Really this gift box can be used for just about any occasion. I love that it reminds me of summer and one of my favorite fruits! I hope that today is filled with warmth and signs that summer is coming! Looking forward to sharing another post with you all tomorrow! 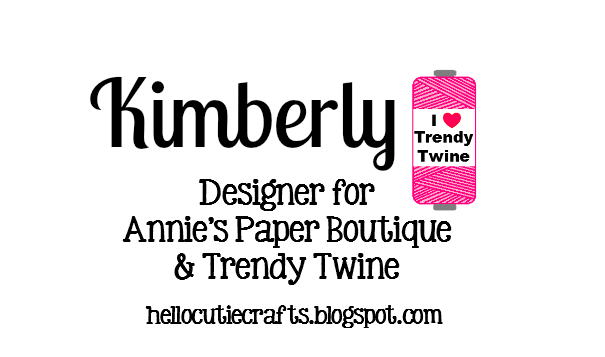 Hello Trendy Twiners! My name is Ann Marie from Yours TruLee and I am so excited and honored that Lesley Ann has asked me to be a guest designer today. Trendy Twine was my very first twine and it has been my one and only twine that I have used from the beginning of my crafting days. 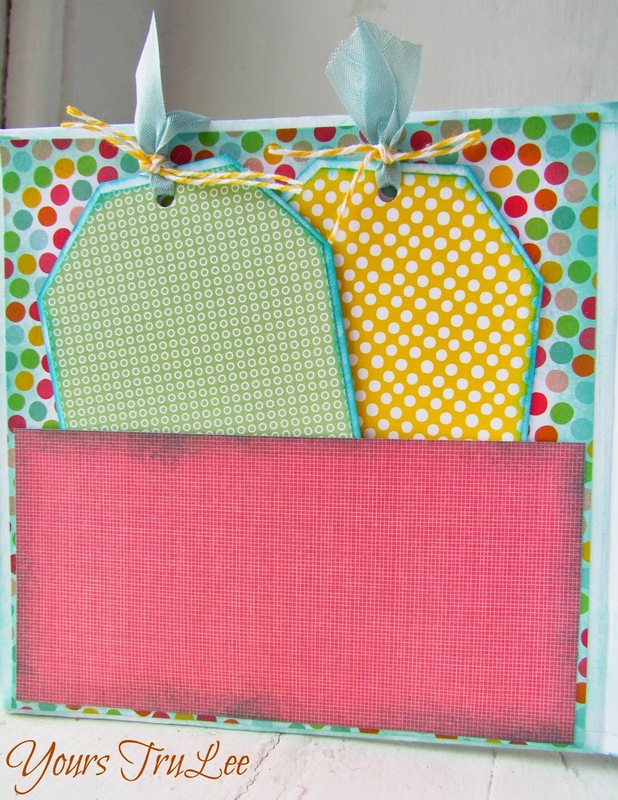 I love how versatile it is and I am constantly using her twine for so many projects around the house! It is very rare to find a crafty project of mine that does not include her twine! The project I have today is no exception! 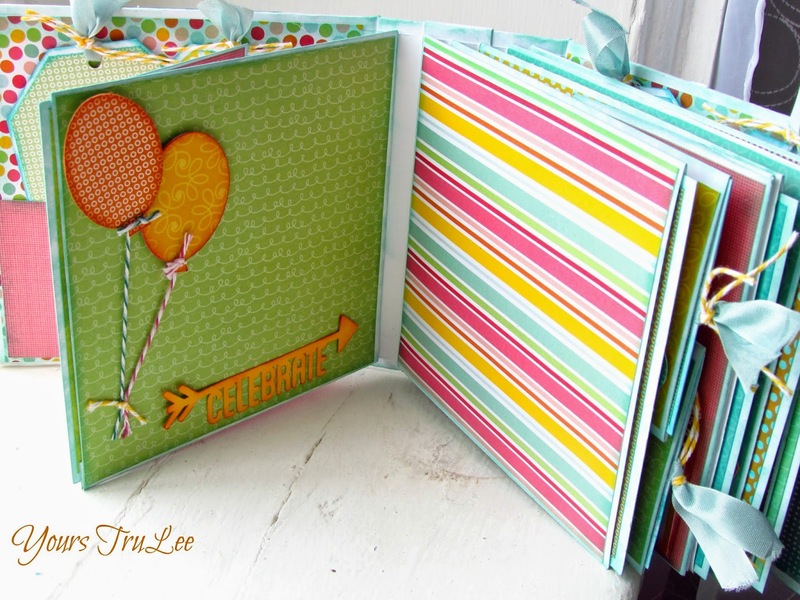 I created this fun Happy Birthday mini album with this post in mind! On the cover I used Lemon Tart, Ticked with Teal and this months featured twine Ticked Pink. On the inside cover I created two tags to be used as photo matts and then tied some seam binding with the Lemon Tart Twine. Most of the pages in the album interact. 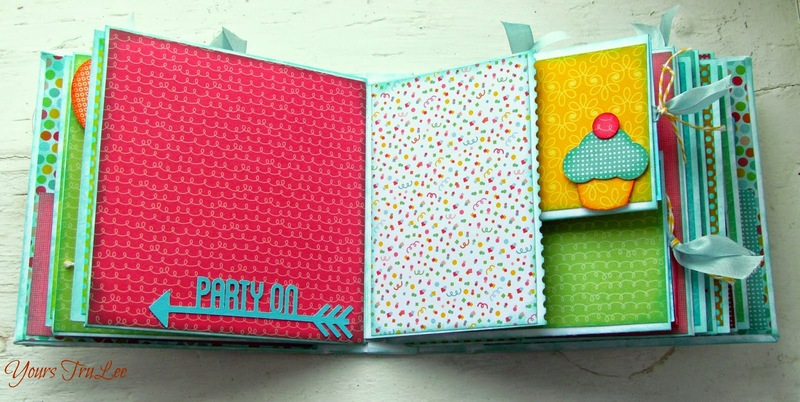 This is an example of the flip page, and the one with the cupcake are half pages that have tags inside as well. The tags are finished off with seam binding and Lemon Tart Trendy Twine. Here I created a "pom pom" on top of one of the gift embellishments. I used Tickled with Teal, Tickled Pink and Lemon tart. Tied them all together and then unraveled them and fluffed them to create a pom pom. This is the last page and I LOVE how this came out. I created a "closure" for this mini photo mat by using two buttons threaded with Lemon Tart twine. I then wrapped the twine around the buttons for closure and tied a clear fragment charm that had paper from the collection glued to it. 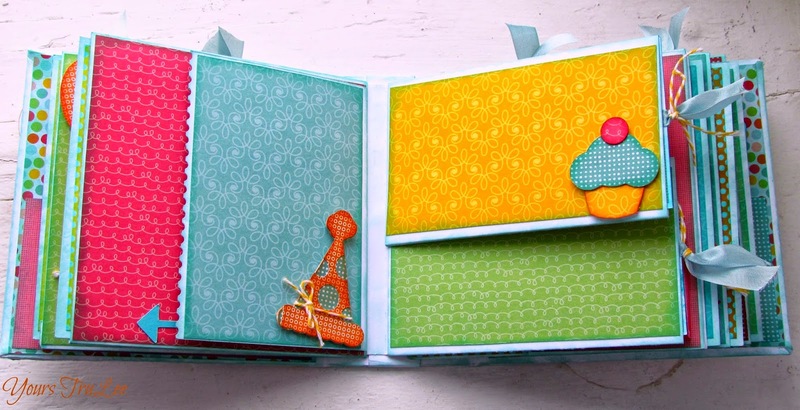 The back of the album has another pocket with two tags which also include seam binding and the Lemon Tart Twine. I love how this album came out and how bright and colorful it is! 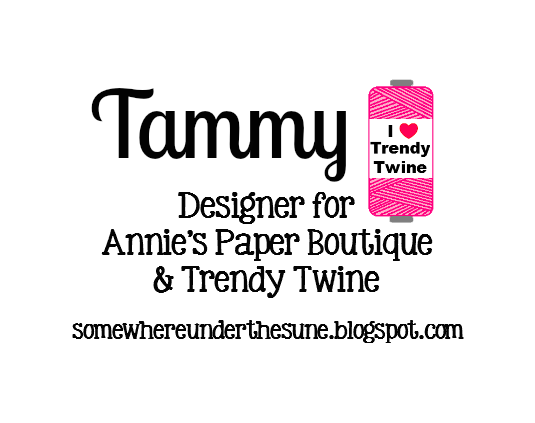 Make sure you check out Trendy Twines store and get this months featured Twine, Ticked Pink, on sale! I hope you all have a great day and I will see you tomorrow!!! Thank you again Lesley for letting me be part of your blog! 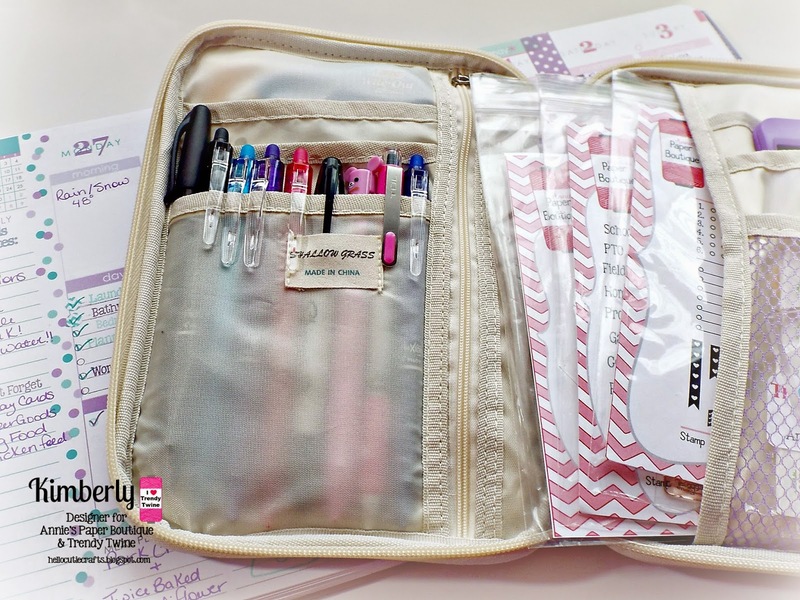 It's Tammy and I get the opportunity to share with you today some of the new packaing carried at Annie's Paper Boutique. Look how cute these Clear Take Out Boxes are...You get 5 in a package. They are on sale too this month. After I assembled the box. (They come flat and are easily to assemble). I wrapped some Tickled Pink Trendy Twine around the center of the box several times adding a aqua daisy to the center embellished with a pink button laced with more Tickled Pink Twine. 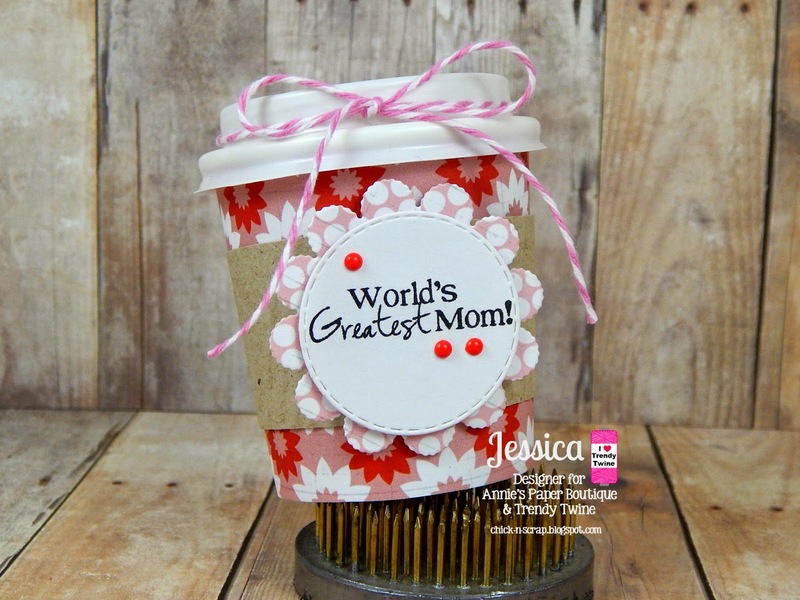 At the top, I tied a bow using more fabulous Tickled Pink Trendy Twine adding a tag stamped Mom from My Creative Time. I hope you take advantage of this new product and pick some up as they are on sale as well as Tickled Pink Trendy Twine. Check out the Take Out Bundle also on sale. Hope you enjoyed this little gift packaging! Today's project will showcase the pretty Tickled Pink Trendy Twine. Since it's a "Mother's Day" theme I decided to make a card. Not just any card but a Criss Cross Fold card. 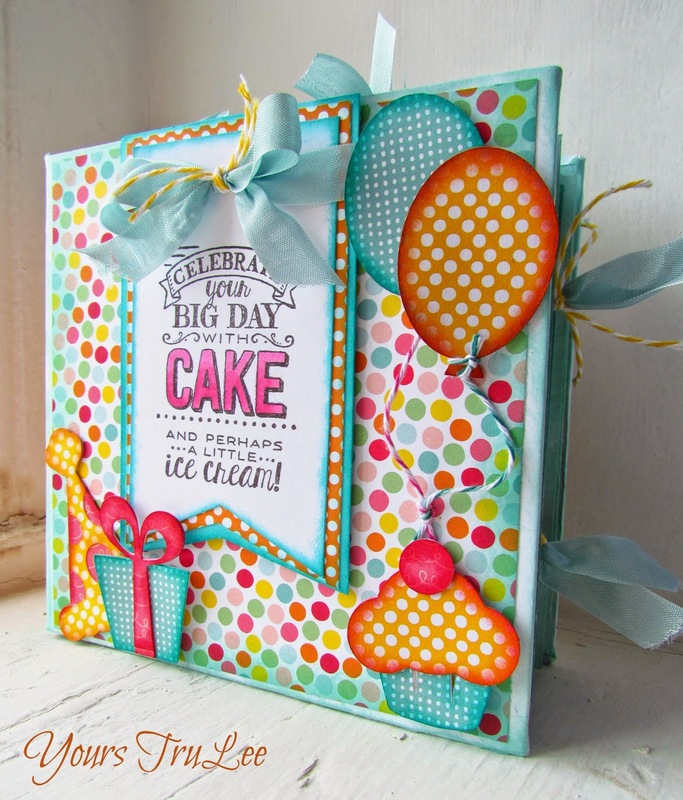 I used kraft cardstock for the base of my card and Authentique paper for it's layers. I used the sweet Angel of Love file from KBD. I used PK Everyday Character Face Assortment on her sweet face. For the string part of her adorable dress I used the pretty Tickled Pink Trendy Twine and adhered her little hearts of love. to make/tied a bow on the ribbons. 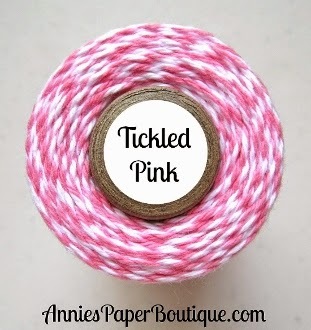 Here is a look at the pretty Tickled Pink Trendy Twine! Please visit my blog for full details on my project. 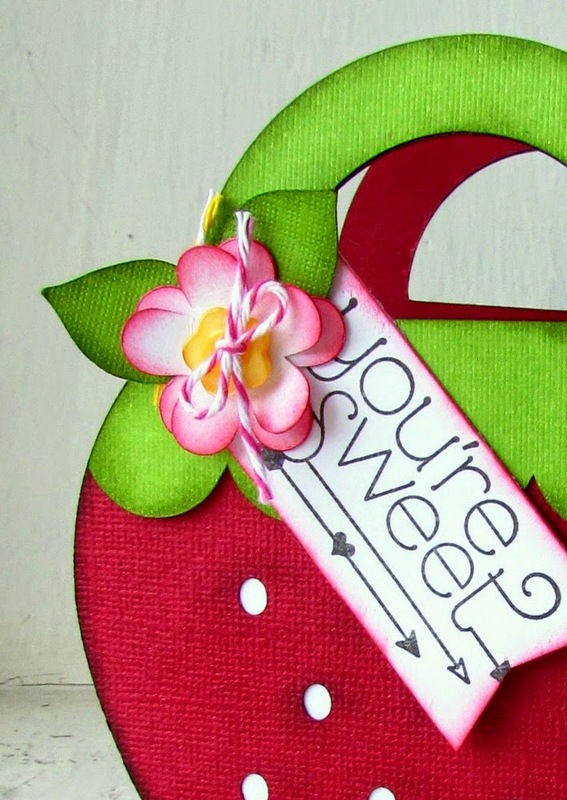 Tammy here sharing a Mother's Day card using Tickled Pink Trendy Twine. I first stamped my wreath on a Whisper White panel choosing to hang it with Tickled Pink Trendy Twine. I added my sentiment just below in black ink. There you have it...hope you will stop by Annie's Paper Boutique and pick up some Tickled Pink as it's on sale this month!!! If you have not already, join us on Facebook where you can find inspiration from the Design Team as well as other Trendy Twine Fans! You are Sunshine For My Soul! Hey, Trendy Twine friends!!! So glad to be with you all today. I was suppose to post last weekend, but everyone ended up sick in my house. Big shout out to Beth for helping me out!!! All month long we have been spotlighting the Tickled Pink Trendy Twine as we get ready for Mother's Day. Here is a card I made using it. 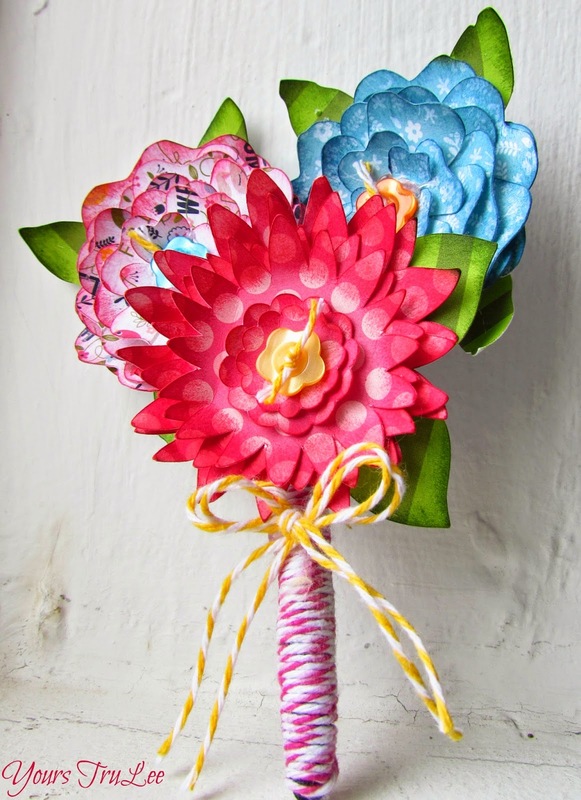 How many of you will be giving MOM some flowers or a potted plant with a big bow wrapped around it this Mother's Day? How about a matching card to go with it!. On the inside, I stamped "Happy Mother's Day". 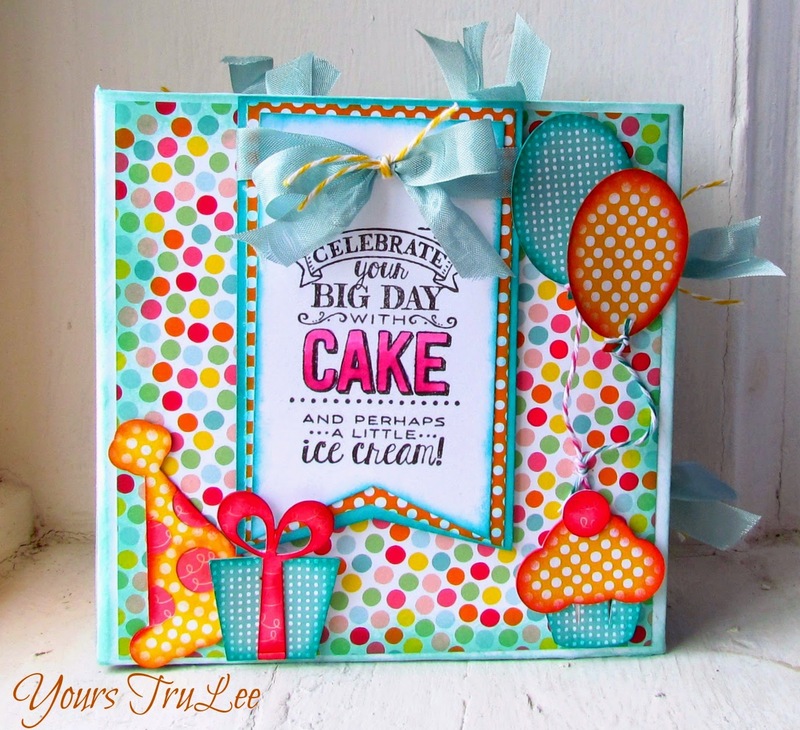 For more details on the card, stop by my blog. have been sharing this month as well. Trendy Twine - Treats for Mom. If moms were flowers......I'd pick you!